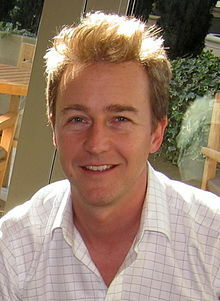 Edward Harrison Norton (born August 18, 1969) is an American actor, screenwriter, director, producer an activist. ↑ "Edward Norton — Frequently Asked Questions". Edward Norton.org. Retrieved December 19, 2006. This page wis last eeditit on 12 October 2016, at 22:54.